Are pesky chores like changing air filters and smoke detector batteries interfering with your golf game? Let us help…Maintenance Matters is semi-annual home check-up program designed to prevent small issues from becoming large, costly problems. 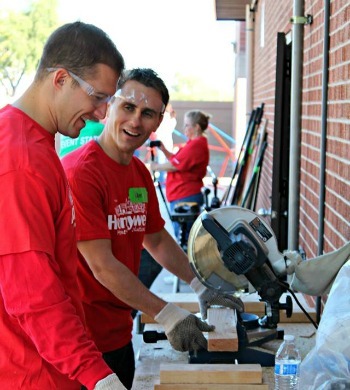 Twice a year Rebuilding Together Valley of the Sun staff and/or skilled volunteers will visit your home to perform a home check-up, general maintenance, and minor repairs. 20. Replace/maintain caulking in wet areas to prevent water damage to walls and sub-floors. Subscription cost is $299 per year. 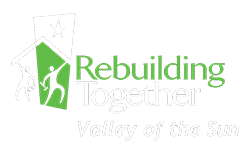 These basic maintenance items are based on the 25 Points of a Safe and Healthy Home developed by the Rebuilding Together and the National Center for Healthy Homes. *Only visible leaks will be addressed. Plumbing problems in walls or under floors/foundations WILL NOT be repaired as part of the Maintenance Matters program. Any additional repairs needed will be addressed on a case-by-case basis for additional charges. Note: RTVOS is not a licensed contractor. No warranties are given with repairs.